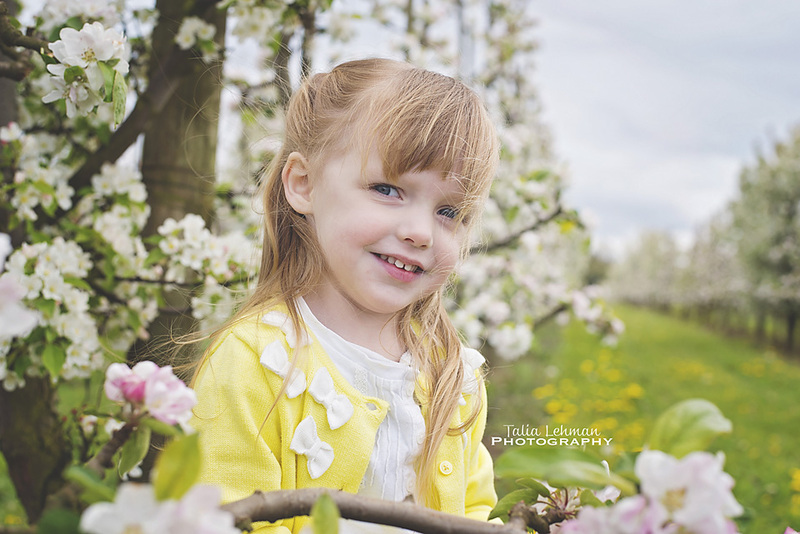 Thanks again to the families who came to our mini sessions in the beautiful blossoming apple orchards last Saturday! The trees were absolutely gorgeous and perfect for a Spring-y backdrop! These pictures are just a couple of my many favorites from the day. And a BIG thank you to BelleWood Acres - Apples and Apple Cider for not only allowing me to use their property, but also for being an amazing place with wonderful people! After being turned down by a couple other local orchards, I was a bit nervous about asking, but when I first approached the owner, Dorie, about using the location for pictures she was MORE than willing and open to it. A perfect example of local business helping local business. I wish I had inquired with them first - the place is AMAZING! The great thing about BelleWood is not only do they grow and sell their apples and have a pumpkin patch in the fall, they have a market and gift shop which includes all sorts of kitchen stuff, homemade pies and pastries, honey and jams, wines, cider, and all sorts of other locally made products, including a bistro where you can grab a sandwich or a snack. Plus, for the adults, they even have a distillery right there where they make their own gin, brandy, and vodka! (It's delicious, I bought some for myself!) This is a great place and I highly recommend it - I will definitely be going here from now on for years to come! Check it out!